A few years ago I made a commitment to ride my bike across Canada with the Coast to Coast Against Cancer Foundation as a method to raise funds and awareness for paediatric cancer. I expected emotional and physical challenges as we crossed the vast landscape, but what I never thought was that I would learn lessons on leadership at the same time. Organised sports have long been cited as being the foundation for adults and youth alike to take on challenges as a team and work to achieve them. However, in the more traditional team environment the role of leader is traditionally filled through a coach or manager who comes with more experience. This often limits the opportunity to have those not comfortable with leadership roles to step up and try them on. What road cycling taught me was that in a great team EVERYONE holds a leadership position. Certainly there are those that are naturally stronger and are able to carry more of the weight, but a great peloton (cycling formation) is formed with a balanced approach. When each person takes a turn in the front of the group (referred to as pulling), the rest of the team can take a moment to recover their strength at the back so they are ready for their next turn. This small reprieve from the wind or weather provides each individual a chance to rest and reset. Now, not everyone is ready to pull for hundreds of kiliometres, but even just a short stint at the front can help to build confidence and skill for those with less experience. It also provides those with knowledge and talent to pull beside the less accomplished rider and help them to improve as individuals. Is it the journey or the destination? These short stints as group leader might not be as fast or as smooth a ride as those led by one of the more talented riders in the group, but in the end the whole team can arrive at their destination just the same. Each time I was empowered to pull despite being the least skilled rider, I felt more connected to my team and was able to push my own boundaries further. As a result of pushing outside my comfort zone I improved and became a better contributor to the team as a whole. In business we often default to doing things with the same people “pulling” because it is what we know. This leaves the bulk of the team hiding from the weather and wind and coasting along behind without a chance to learn and grow. It also often causes a rift between those at the front and those at the back because they never get the time to bond and share skills if they don’t switch positions and see the view from another persons saddle. Maybe it takes a few more minutes to arrive so everyone can contribute, or maybe it means getting rained on, but each person got to grow through the process. This results in making the whole team more capable of meeting the next challenge. In the end if the entire team meets its goal, does it make any difference how you got there? For the last few years I have been working on my image of myself. It wasn’t until recently that I actually came to terms with the idea that I am an athlete. Growing up I was not particularly sporty other than riding my bike everywhere as transportation until about the eighth grade. I was never a dancer or a track star like my friends were and accepted the fact that I could be the smart one not the skinny fit one. That badge of smart not sporty stayed with me until about a year or so ago when I realized I was more than just the label I had assigned myself at thirteen. I went in for my annual doctor’s visit and she actually said that it was refreshing to deal with an athlete. My health was good because I was so engaged in activities that support bone mass and heart health and keep my weight in a good zone. WAIT just a second! She changed my label. The word athlete was never my badge, and it felt wrong. It didn’t fit me. How could it fit me? Over the next few days I started to work through my definition of what an athlete was. WHOA! Hang on here…. That makes me one of THEM? So the defense arguments kicked in. By my own definition I had become someone who doesn’t casually ride a bike or go for a run, I was committed to a lifestyle of activity. My idea of a fun weekend was going out for eight to twelve hours of cycling with my friends who I could easily define as athletic superstars. About two weeks ago I broke my leg and damaged the ligaments in my knee playing a sport I love and I realized my world was at risk. I am in rehab and just now understand that instead of accepting an injury and going back to that sedentary life I have to train at recovery. I have to commit to doing the exercises for healing at the same level and with the same dedication I would put forth of a century bike ride, running a marathon or achieving a 5:10 climb. I am in training for an event right now. That event is my everyday life, because I am an athlete. 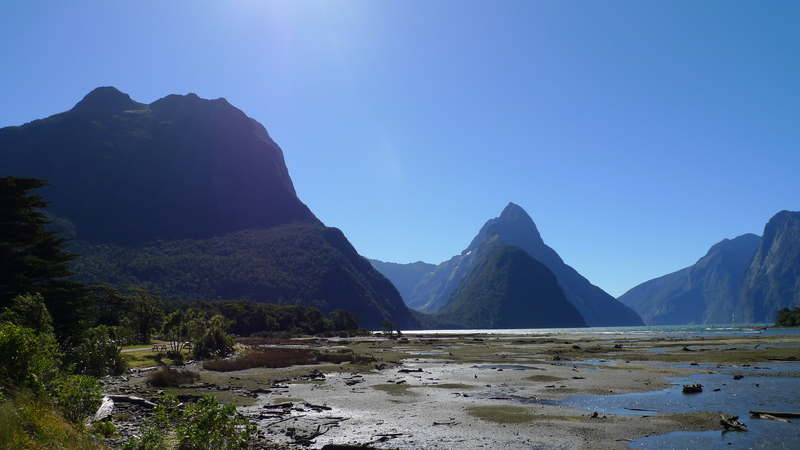 For four weeks in Dec 2011-Jan 2012 I travelled around New Zealand in a camper van. While I did do quite a bit of research in advance of my trip, you can never really know what is going to make or break a trip and I like to have some resources on hand during any adventure. For this trip I trusted the 2011 Rough Guide NZ-purchased in Canada for pre trip research and lived on the dash for most of the trip and the AA Travel Atlas (yeah I know only my mom uses a travel atlas)-purchased for $25NZD on day one and used every day. Living without a data plan on my phone meant that I had to actually navigate with the atlas and this one is well designed. It also includes some cool highlights and was how I discovered things like the Top 10 Parks and Pancake Rocks. Going into the trip I had a list of must do items and a rough idea of when I wanted to tackle the items. Most weren’t really that complicated. 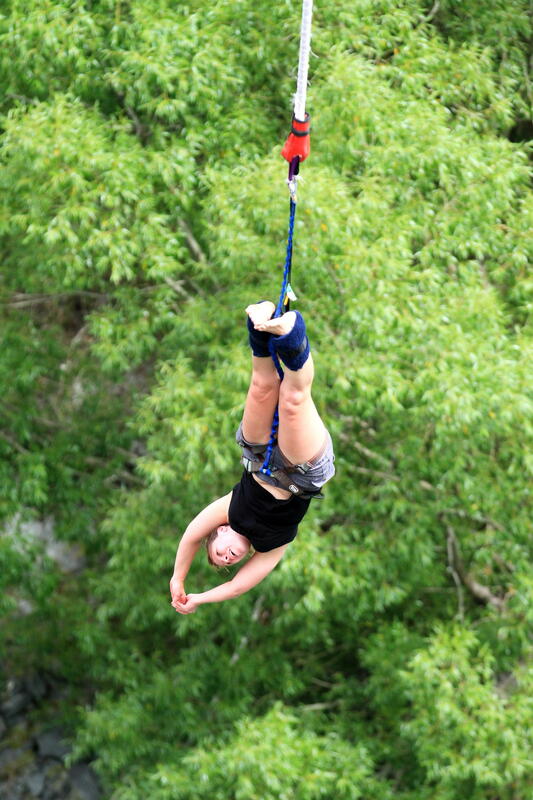 I wanted to bungee jump. I am not a complex or demanding traveller. I prefer to be free to discover things I enjoy (flat whites) and to walk away from the things that don’t inspire in me what they might have in others (Moreaki boulders). I don’t like to have a tight schedule that involves being stressed or rushing to and from places so that means that I don’t travel in big groups or go on a lot of organized tours. Mountain Biking: I did highlight some of the areas that my bike and I got a bit of a work out, but honestly I would ride anywhere in the country. It is outstanding. I will post all about MTB NZ in a separate post in the near future. One of the most amazing locations in the country! In the space of just a couple hours you see ocean and mountain, cross multiple weather systems and more. The scenery is spectacular…the sand flies (Canadian Black Flies) were awful though. The museum is beautiful and you really can’t do it in just one visit. It also reminded me that access to our history and culture should be free. People should be able to take their children to these activities at no charge. 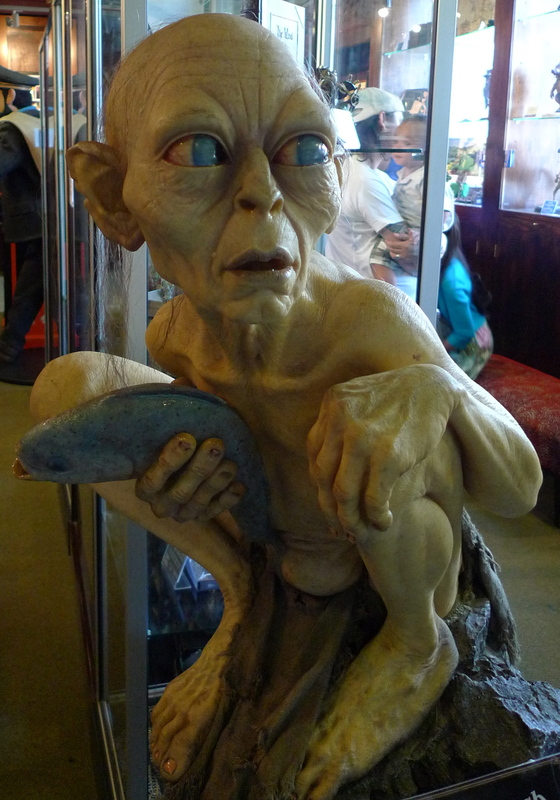 One of the coolest exports from New Zealand is the gift of technology to the world of movies. Weta is famous for participating in such epic movies as District 9 and Lord of the Rings, but it is also the largest producer of realistic looking chainmail for actors to wear in movies and a number of other assorted secrets that I just can’t tell you. Go! It is FREE and while tiny I promise it will spark a layer of your imagination in a way not many places can. Kawarau Gorge is a 43 M bungee jump. Not the largest around, but it was more than large enough to inspire fear in this girl. There is always a place in my heart for a five star hotel, but these are the best of the best when it comes to living the campervan lifestyle. There are spotless bathrooms -playing music and armed with hair dryers. An added perk is the fact that almost every one of them offers at least some free WIFI which is pretty few and far between in NZ. Yellow eyed penguins are super cute and tiny. They spend the summer on the south island of New Zealand where the babies are raised until they are strong enough to go to sea and hunt for themselves. We had to wait for a few hours to see the parents come in from the ocean, but as the babies got hungry they started to pop out of their dens and I can’t tell you how adorable they are. Glaciers and mountains make good company, but couple them with rushing waterfalls and dense ocean forest and you have a set from a movie. There is about a 2 hour drive to get into Milford Sound from the last real town (Te Anau) and I could do it everyday for the rest of my life. Along the way you will see wildlife and hear birds chirping beside rushing streams and waterfalls. Stay the night and surround yourself with magic. They look cool in pictures and are really quite easy to get to, but I wouldn’t make a special trip. Unless you have some passion for alien eggs (which is what I think they look like up close), I wouldn’t go out of my way. On a secondary note I was very saddened by the signs stating that the stream that was feeding into the ocean a few hundred metres down the beach was not safe due to pollution. While taking advantage of Christmas and New Years gave me three extra vacation days I paid a premium for the trip because of the time I was in the country. On average the campervan ended up costing about $250NZD a day for a service which is worth about $150 in the off season (after Jan 15). It is also the prime season for campervan parks and they up their rates by as much as $10-20NZD a day during the season as well. Trying to see everything in less than four weeks. While attempting to see a large amount while in the country is definitely worth tackling, don’t try to squish everything in at once. Take time to relax and enjoy the scenery. Have a coffee in a proper cup and enjoy it. While we had a place to land as a base camp while in Auckland doing both the north and south island can be done more efficiently end to end. What I also learned along the way is the fact that most tourists that travel one way do so from Auckland to Christchurch. If you are willing to do the reverse your campervan rental rates will be lower because the rental companies need to get the vans back to Auckland anyway! You will also save on the abundantly expensive ferry which is about $600NZD round trip for two people and a campervan. I know it seems like a dumb idea to spend big money on clothes that are merely for getting sweaty in. Work out wear has come a long way over the last few years and investing once in a while is worth every penny. Fabrics are loaded with technology making them more comfortable, flattering, and less smelly. What I can never fully comprehend is the fact that I have watched people buy $200 dress shoes that they may wear ten times this year and yet refuse to replace the running shoes that they wear at least a few times a week. Motivated by this and the sights I have seen in the gym and on the trail I have devised a list of why you need to buy new fitness apparel and no… it is not so you can have cooler stuff than your friends or to ensure that your tank and gelato match. It genuinely wears out: Clothing that has fabrics like spandex and luon break down over time which causes them stop doing what they are designed to do. This will show in the fact that those Lululemonpants that made your bum look awesome are now all rough and bumpy and your bum… well… it just looks like your bum again. Even worse is the risk that at some point your threadbare bottom may peek out and say hello to your neighborhood. Your training is working: There is nothing worse than being three kilometres into a ten kilometre run when your pants start to fall down(trust me on this one). Making sure your clothes fit will help to ensure that you will have a great work out. Oh… and ladies this is especially important when it comes to exercise bras, they do not offer compression when they are too big for you. The other fact is that you aren’t seeing the results of your effort, wearing clothes that are the correct size will help you show off those legs you have been squatting for. You can’t keep up with the laundry: Rule of thumb is that you need as many sets of apparel as work outs you will complete in a week. Set yourself up for success so that you don’t have to be the guy that skips a training ride because all of your bib shorts are dirty and you haven’t had a chance to do laundry. It smells bad: I don’t care if your clothes are made of Silver or Kryptonite. There is a point in the life of a garment where no amount of washing will rid it of your historical workouts. It is going to hurt you: Sports apparel like running shoes, or helmets have foam padding that is designed to break down over time. When the foam in your runners no longer bounces back it causes your joints to be the only cushion. Replacing a knee or hip is a big deal. Replacing your Nike’s not so much. *I buy new fitness clothing as required following the guidelines stated above.This tends to end up being a complete replacement cycle about once a year.Nobody has sponsored this post or given me anything for free to say it.I exercise between three and six days a week pretty much year round.Fitness apparel adds up to more than half of my annual wardrobe spending and I believe that it is worth every penny. Granted… if someone wanted to give me free stuff to try out I would happily offer my opinion on the goods.